Predator! 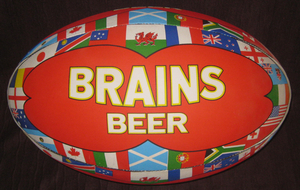 Rugby manufacture customised promotional rugby balls, soccer balls, netballs and volley balls. Ideal for advertising, commemorations, awards etc. 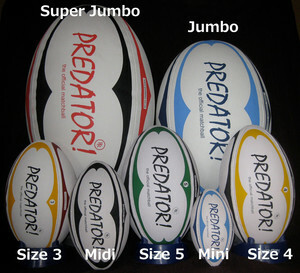 Pictured, on the right, is the World's largest rugby ball, manufactured, in India, by Predator! for Cathay Pacific to promote the Hong Kong Rugby Sevens Tournament.